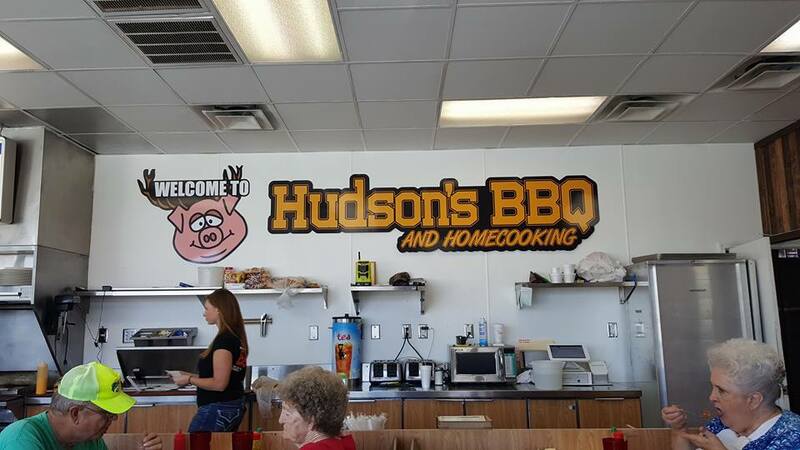 Hudson’s Barbecue resembles and old Waffle House or Huddle House. Photo by Doug Deal. 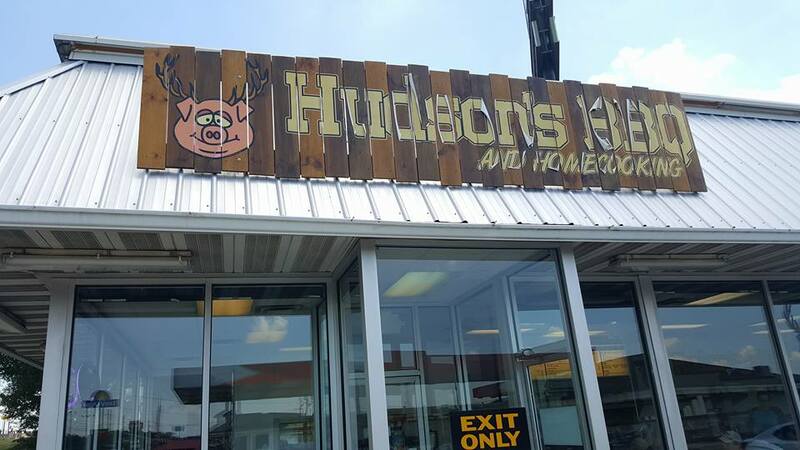 Recently, my wife and I had a couple of chances to stop into Hudson’s Barbecue right off the interstate on the Byron exit at 252 GA-49. 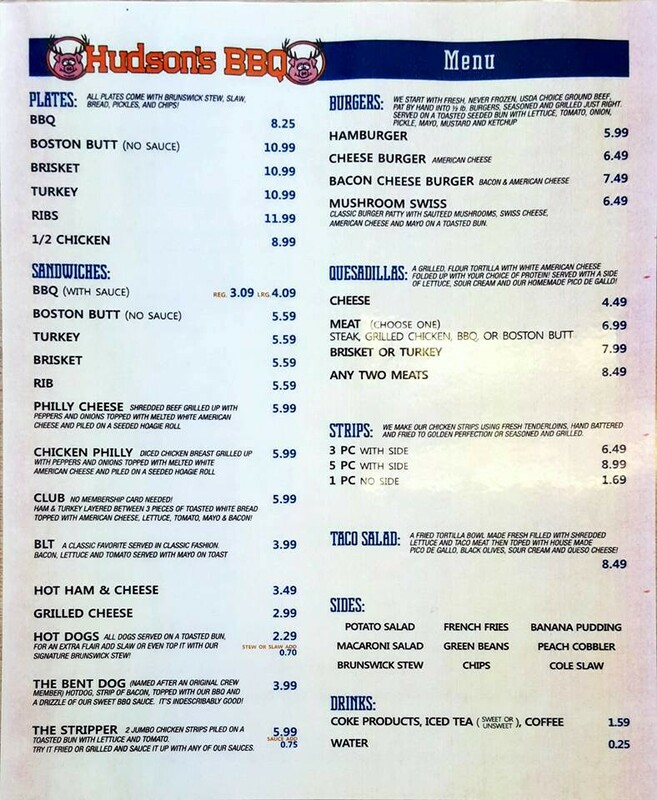 The place reminds you of the familiar comfort food giants like the Waffle House or Huddle House, but with a cafeteria style layout in the middle offering various choices of country and southern classics. 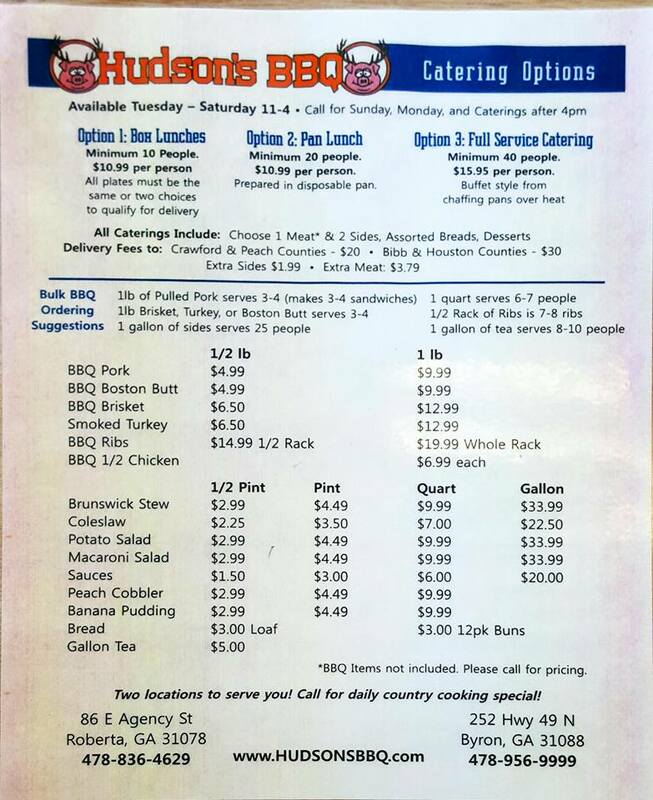 Inside of Hudson’s Barbecue and Homecooking in Byron. Photo by Doug Deal. On our first visit, my wife had the fried chicken and she was impressed by the portions, the price and the quality. Her meal came with two sides, as I believe come standards with all plates and she chose the Brunswick stew and macaroni and cheese. The stew was precisely what you’d expect and the mac and cheese was the kind you crave on holidays like thanksgiving or a family pot-luck. It was not too dry, loaded with cheese and was baked just enough. Her chicken was a huge filling portion and the golden brown skin was flavorful and the meat was moist and delicious. 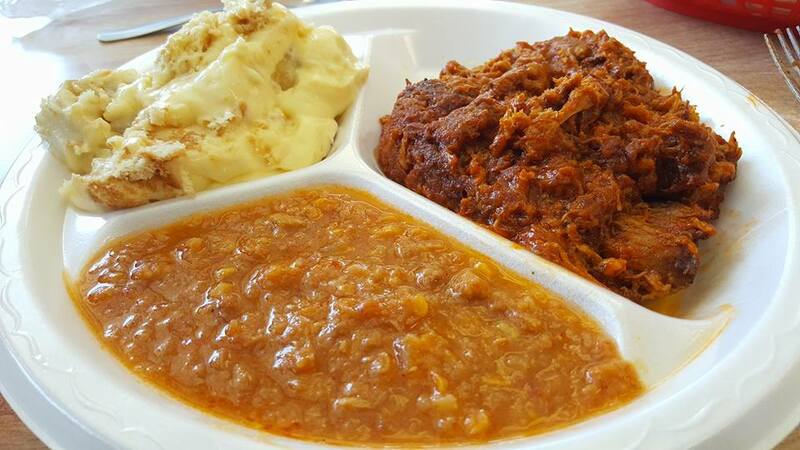 Barbecue pulled pork plate with Brunswick stew and banana pudding. Photo by Doug Deal. On both visits, I stuck with the signature pulled pork barbecue. My sides were the banana pudding and the stew and with bbq, you have a choice of bread or a bun. The barbecue was well smoked and perfectly sauced to bring out the flavor. I am partial to spicy food, so I loaded it up with some hot sauce, but the flavor is good on its own. The restaurant is obviously not fine dining fair, but for barbecue, I prefer a more rustic feel and definitely like the small individual stores to large mass produced places. I cannot award a favorite part of the meal, as I enjoyed all of it. In fact I have developed a bit of a craving and look forward to my next visit. However, I wanted to give special mention of the banana pudding. It is as close to the pudding I remember from holidays of my youth as one could hope for. Nothing fancy, just a simple pleasure. For the kids, they got hamburgers and they were too large for them to eat, so they made two meals. It is hard to beat Hudson’s on value and they have something for everyone. They are open 11 AM to 8 PM every day and have another location in Roberta at 86 E Agency St. If you want to support local restaurateurs and have a decent casual meal, give them a try. They also offer bulk products for catering, picnics and events.